Hosting a Tree Trimming Party is a fun way to get friends together without too much stress this season. I love the idea of having my favorite group of people over to make their own decorations for their Christmas trees, that way everyone can feel like they are checking something off their list even as we mingle and eat. 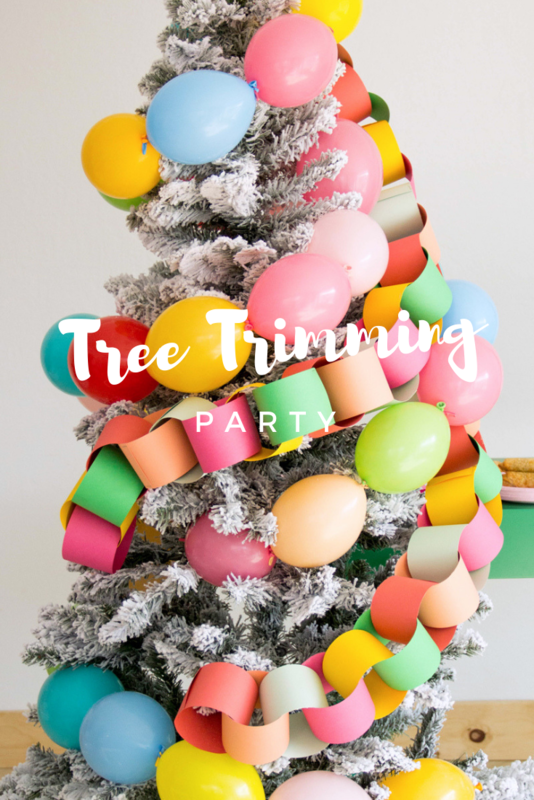 I love creating fun and unique tree decoration ideas for my Tree Trimming Party! It’s a great way to create personal ornaments or decorations with all your friends that you will remember for years to come. All my friends and I love to laugh and look back on the years where we created these fun decorations and the great times we had doing them. Here are a few more fun and unique ideas for decorations to create at your very own Tree Trimming Party! Who needs fancy ornaments when you can fill your tree with extra large paper garland and balloons!?! Eeeep. I like to call this one the party tree and I love it so much. It’s festive for your tree trimming party and will brighten up the rest of the season as well. 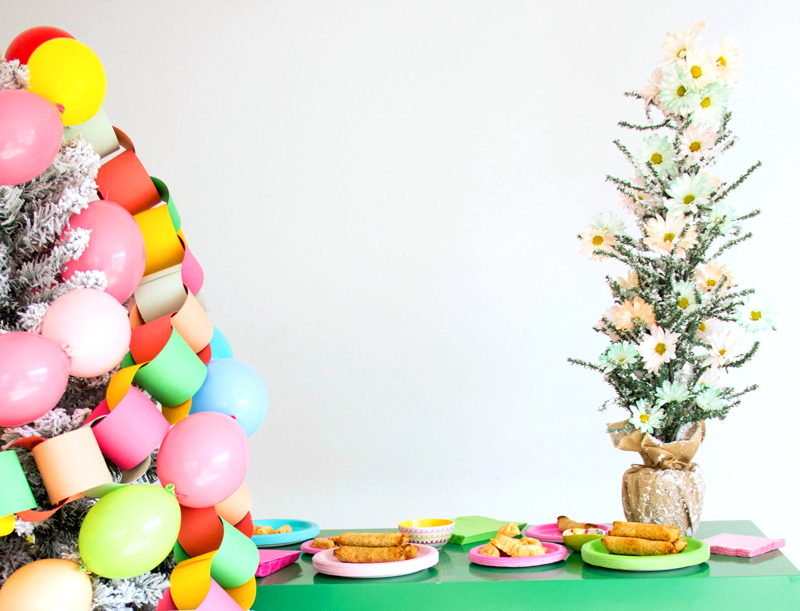 Here’s my favorite flocked tree that looks great with garland & balloons. 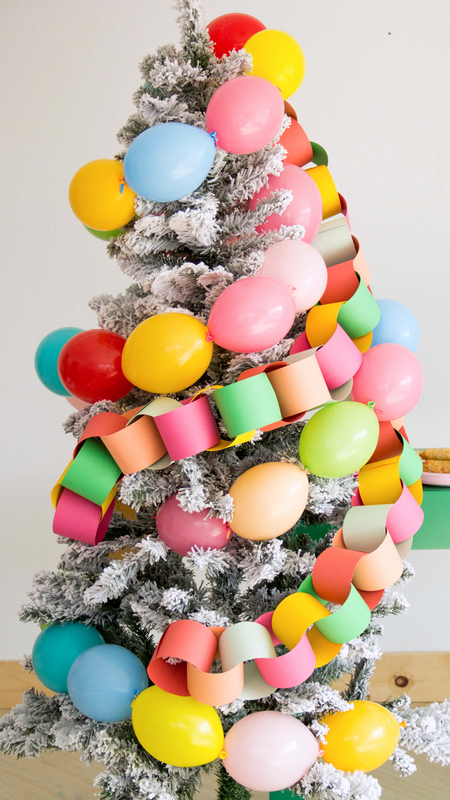 For this fun and crafty look, you will set out some pre-cut strips of colorful paper and staplers. Your guest can then combine them into a chain, while they are chatting and laughing. 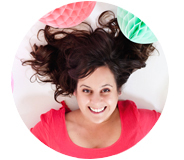 They can create a fun and festive garland and have a great time doing so. Then everyone can go home with their own version of a paper chain garland for this year’s Christmas Tree. 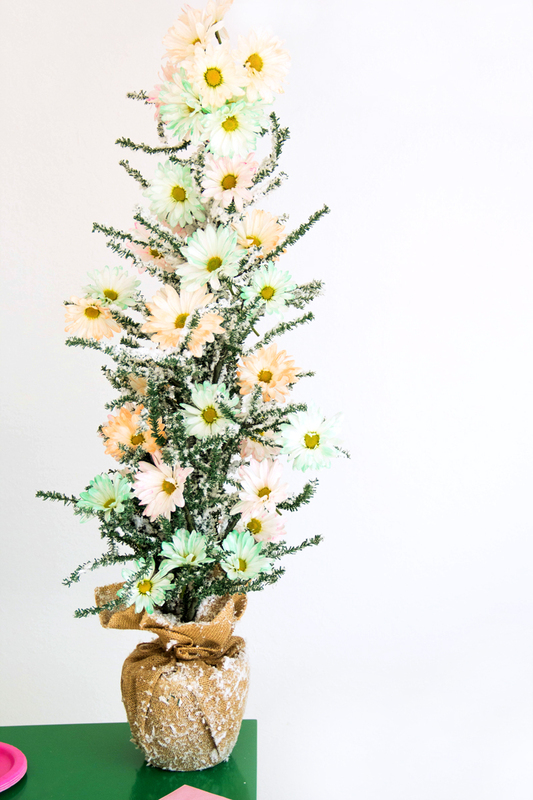 For a different approach to the tree trimming party trees – placing dyed florals on the tree makes it look enchanting. To create a craft option for this tree look. 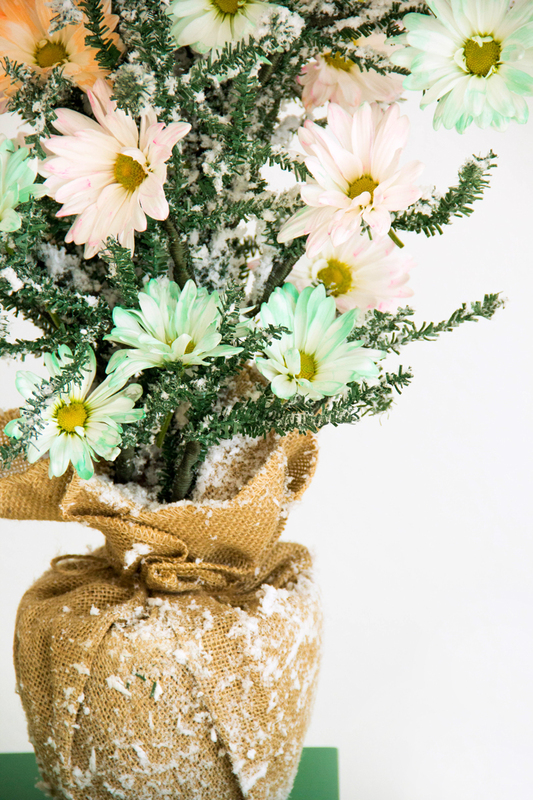 You will need to leave out buckets of faux floral daisies and a few bowls of dye for guests to dip their own floral tips. Grab a couple extra vases, sit them around to hold the dyed flowers as they dry. Your friends will be thrilled to take home their own version of this super pretty look. 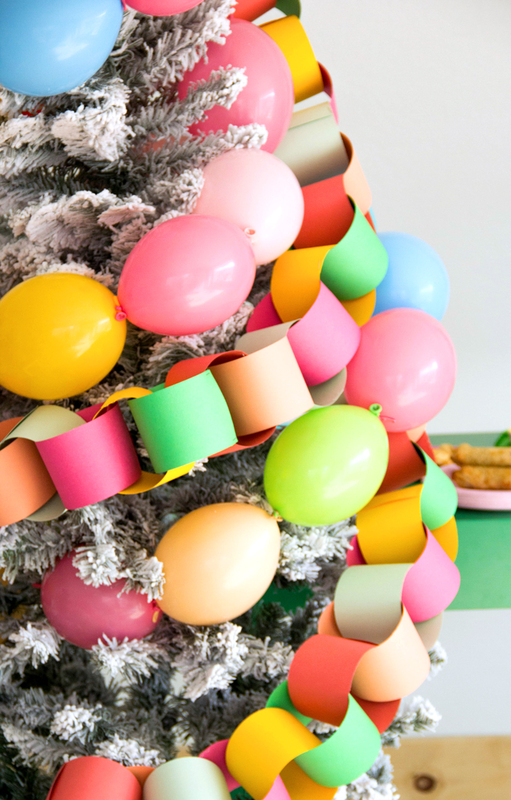 This is such an easy and fun tree trimming party idea! Serving a good snack is always a priority for our tree trimming party gatherings. A spread of appetizers is an easy win for any Tree Trimming Party. I often think of ordering take-out for parties, but that can get crazy expensive, FAST! 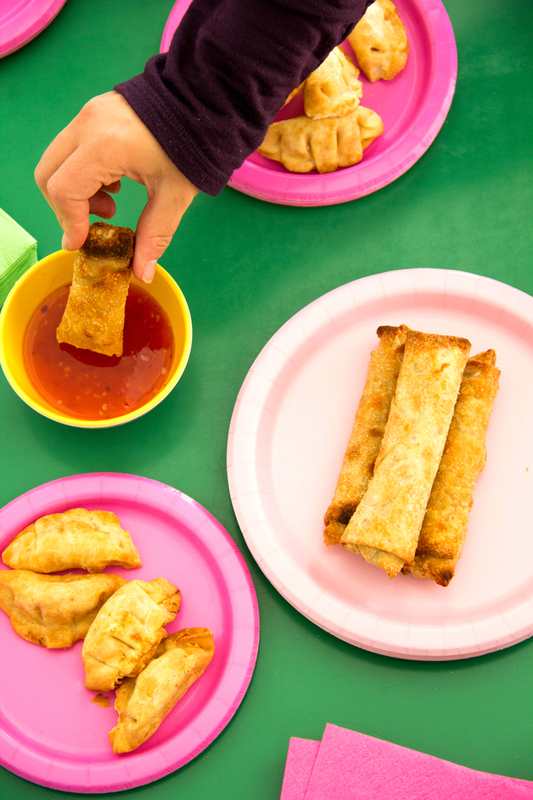 Instead, we popped the Pagoda Pork Egg Rolls and the Crab Rangoons in the oven for about 20 minutes and the table was set. The snacks came out of the oven nice and crispy and we gobbled them up shortly after this photo was taken. They feature premium meats and fresh cut vegetables delivered, and are the perfect stress-free appetizers to serve at any gathering. Let us know in the comments what your favorite Tree Trimming Party craft is!